The Fun Run is Coming!!! Saturday, Sept 27th!! When: Turn in your pledge forms early or on race day at 9:20am. Run starts at 10am sharp! Why: Fun community event, with middle school DJs, and proceeds support Orca PE, music, art and dance programs! 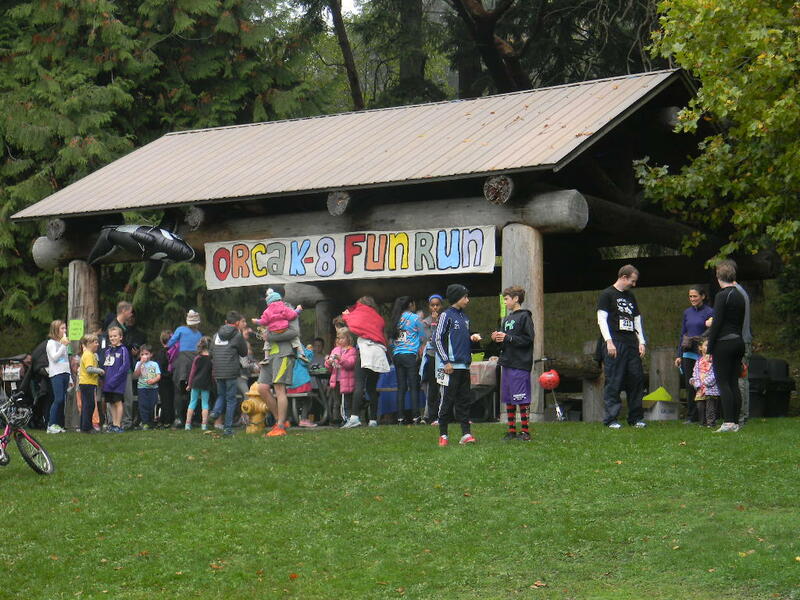 How: Register the day of the race at Seward Park starting at 9:20am. Students are encouraged to get pledges from friends, neighbors and family with a goal of $50 per student. Non-Orca suggested donation $20 per family or $10 for individuals. Action: Students take home fundraising packets and get support from neighbors, family and friends. We will have prizes for the classes with the most participation and most money raised! Fundraising sheets are due back on Friday, September 26th! *Click the “Donate Now” button to confirm the transaction. *Pat yourself on the back for helping make Orca great! This is a charitable, tax deductible donation. Orca PTSA is a registered 501 (c) (3) not for profit. Tax IEN # is 91-1444314. Thank you for your generosity! This entry was posted in Uncategorized and tagged donations, events, fun run, fundraisers. Bookmark the permalink.